Schlage have been making locks since 1920 when Walter Schlage opened his first shop in San Francisco. Born in Germany, Walter was known as the “Lock Wizard of Thuringia” and from the start, a fascination with locks meant that Walter was always trying to invent the next best thing in locks. The Connect BE469 is only one of many smart locks that the company has designed and sold. The Schlage Connect smart lock has a keypad (containing just numbers) into which you “punch” a code. These codes can be between 4 to 8 numbers long and up to 30 codes can be stored at any one time. This lock doesn’t use a smartphone to unlock the door directly but you can use a smartphone for some other functions by using some of the Z Wave technology, which I explain in the Home Automation section. This lock comes with one traditional key that can open the door. The spare key should only be used in an emergency for when the lock’s batteries have run out. The Schlage doesn’t use a fob as a way of opening the door. The BE469 smart lock doesn’t use fingerprint technology. In fact, there is only one smart lock that does. This smart lock is powered by 4 AA batteries which are included. You can control this lock via an app for “Z Wave”. If you have a Z Wave smart hub or network controller, you will already be using an app. Just add this smart lock onto it. Some of the functions of this lock can be accessed via a web browser. 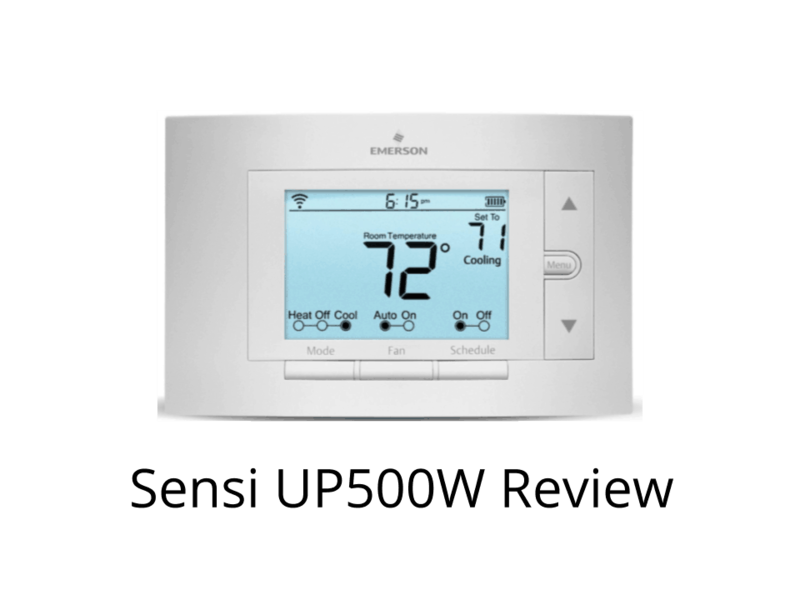 The BE469 is compatible with Z-Wave. Z Wave is a system that connects different devices in your home that can be controlled from anywhere on a smartphone or tablet. As well as smart locks other devices include lighting and thermostats. Being compatible with a home automation system is excellent because it unlocks more functions of a smart lock as well as enabling you to connect lots of different devices in order to make your life easier. The Schlage has an ANSI/ BHMA grade 1 which is the highest residential standard available. This is one of the most securest locks that you can buy for your house. Having the highest security rating makes this lock unique compared to most other smart locks. The touchscreen keypad has a matte finish so that there is no trace of any fingerprints left after a code has been entered. Just in case you have anyone loitering around after you have closed your door trying to work out what your code is. This smart lock can be unlocked even when you are not at home via the Z Wave system. The Schlage Lock will “auto lock” after 30 seconds of the door closing. This feature can be turned off. The BE469 is fitted with an alarm system to warn of any activity at your door. You have a choice of three types of activities to be informed about- activity, tamper and forced entry. You can choose to be alerted to one of these three activities at any one time. The lock will is designed to operate between -31˚F (-35˚C) to 151˚F (66˚C). The Schlage lock comes in four colors; Satin Nickel, Aged Bronze, Bright Brass, Matte Black, Satin Chrome and Bright Chrome. If your door only has one hole for the lock then in all likelihood, this lock be able to be installed on your door. In order to install it, the only tool you need will be a screwdriver. There are no wires to connect. What are the Schlage Connect BE469 smart lock’s strongest and weakest features? Home Automation Compatible Limited "Methods of Entry"